Lady J In Lotus Pose: Kristina's Soul Shine Juice! 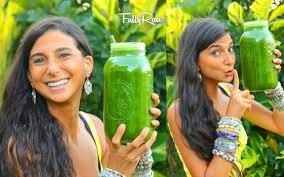 Introducing Kristina's Soul Shine Juice! Feels good to make, and feels good to consume. You're doing something healthy for yourself here. A great way to ease into a raw life! What I find to make it extra exciting is to indeed put it in a big mason jar with a glass straw. Drink up!